It is with great pride that we at Media Mikes are able to introduce you to our new film reviewer/writer: Michael D. Smith. Michael began his film critic path by writing movie reviews for his college newspaper for a couple years. 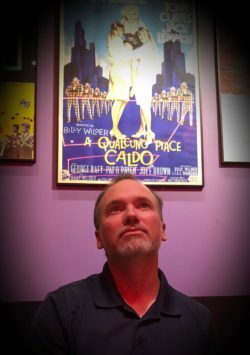 After graduation, he wrote reviews for his hometown paper in Harrisonville, Missouri for six years before becoming the Arts & Entertainment editor and film critic at a publication in Overland Park, Kansas. a position he held for three years. In 2009 was offered an opportunity at KCMETROPOLIS.ORG where he predominately covered independent/art house films. He will now cover them for Media Mikes as well as contributing commentary when the mood takes him. Michael is a long-standing member of the Kansas City Film Critics Circle, the second oldest film critic group in America.